That quote comes from a book I picked up on our recent visit to the USA, ‘Lies My Teacher Told Me’, by James W Loewen who, the back cover tells me, is professor emeritus of sociology at the University of Vermont. My copy is the updated 2007 edition of a book that was first published in 1995 and claims to have won the American Book Award and the Oliver C Cox Anti-racism Award of the American Sociological Association. The words can be found in the last paragraph of the 4th chapter, which is as far as I have got so far. The chapter is entitled ‘Red Eyes’, and discusses what Loewen refers to as ‘the most lied-about subset of our population,’ Native Americans. The learned professor’s thesis is that textbooks used in US high school history courses have presented, and mostly continue to present, an idealised programme of White American-centred myth-making and patriotic indoctrination that bores and frustrates students, and bears little relation to the reality of their nation’s past. Earlier chapters deal with the process of hero-making, the true importance of Christopher Columbus, and the truth about Thanksgiving. In discussing that sacred event on the all-American calendar, Professor Loewen points out that the traditional ingredients of a Thanksgiving meal, pumpkins, turkey, corn and squash, were all indigenous to the Americas, and that the pilgrims, in reality, were indebted to their Indian neighbours more than to their God for survival in the new colony. He further informs us that celebration of the famous feast dates only from 1863 when President Lincoln, looking for ways to stir up patriotic fervour, declared the date a national holiday. Well, as you will expect from my title, I am not here to review the Professor’s book. Loewen is discussing history, though he does include the warning that the present cannot be properly understood without a realistic appraisal of past events. My aim was to set the scene for a discussion of contemporary events that demonstrate the same processes at work: tailoring the story to suit a desired end result, overlooking inconvenient facts, and creating scapegoats and villains to justify a particular course of action. When it comes to studying history, the problem is not so much that the true stories are not available – rather that they are generally only available to researchers and serious students. The rest of us are lulled into soporific acquiescence by the barrage of ‘facts’ served up by the weighty textbooks we lugged around at school. When it comes to contemporary issues, we are at the mercy of the mainstream news media, for the most part controlled by business and political interests whose purpose is rarely to present an unbiased account. 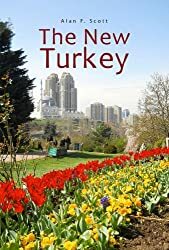 I am greatly indebted to my experiences in Turkey for opening my eyes to how much my own worldview had been shaped by those factors. One of my earliest such experiences was attending a celebration where Turks were commemorating 18 March 1915 as their day of victory in the First World War theatre we know as the Gallipoli Campaign – in defiance of New Zealanders and Australians who know our boys didn’t even get there till 25 April! Of course if you search you can find details of the Royal Navy’s earlier disastrous attempt to force a passage through the Dardanelle Straits – but that didn’t feature in any accounts I heard or read in my school years. I guess life was easier in those days for government, military and status quo propagandists when the general public’s sources of information were fewer in number, narrower in scope and more easily controlled. I learnt, many years after the event, and from a very unofficial source, that the British military had been testing its atomic weapons in the trackless wastes of Australia’s central desert – and I was shocked. Surprisingly, many people still don’t know about the Brits’ nuclear testing programme, although I guess it’s no longer classified information. Another historical fact I learnt recently is that the United States had five military bases in Turkey during the Cold War, with nuclear weapons, missiles and artillery aimed at targets in the Soviet Union. The thing is, I can’t help feeling that the Australian public, and maybe the public in Britain and in other NATO countries too, for all I know, would have liked access to that information at the time, in the 1950s, ‘60s and ‘70s when it was extremely relevant to events on the international stage, and they might have exercised their parliamentary vote according to whether a political party supported or opposed the business. American citizens also might have been less starry-eyed and gung-ho about President JF Kennedy’s threat to start World War III if the Russians didn’t pull their missiles out of Cuba. It’s a fantasy, I know, but what if British and United States voters had had been able to eavesdrop on conversations between George Dubya Bush and Tony (the Poodle) Blah prior to the 2003 invasion of Iraq? What if the Queen (bless her heart) had heard Tony promising Cherie that he’d convert to Roman Catholicism just as soon as he stopped being Prime Minister? Sadly, in those pre-Wikileaks days, they weren’t, and Her Majesty didn’t. Then, almost overnight, thanks to a white-haired computer geek from Townsville, Australia, the world changed – and I suspect, hope, pray, it will never be the same again. Wikileaks was the website that brought us memorable video footage from a US Apache helicopter gunship where we heard the crew chattering excitedly like 13 year-old war-gaming kids, heard the tak-tak-tak of the cannon as the gunner got the ok to ‘Light ‘em up!’, saw the mostly unarmed civilians, including two Reuters Agency photographers, dying in a hail of 30 mm shells, saw the small van with its occupants, including two children, trying to pick up the wounded, and suffering the same fate. War photography too will never be the same. Of course, I understand that President Obama and his Secretaries of State past and present, Hilary Clinton and John Kerry are seriously p—d off with Wikileaks and its founder Julian Assange. I can totally understand how they would be happy to lock him up in some federal penitentiary until they felt he was suitably penitent – which might be a while. On the other hand, I know there are some Americans, and even a few Australians, in spite of the reluctance of their government to stand up for the guy, who believe he did the world a favour by making that stuff available, and are secretly hoping the Ecuadoreans will find a way to spirit Assange out of their embassy, past those London bobbies, and off to the sanctuary of Quito where he can keep giving us insights into events and information our leaders would prefer us not to know. So I want to tell you a little about the book I read before starting on the one dealing with the lies I learnt at school. 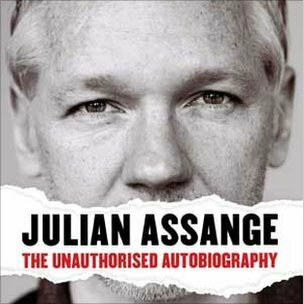 It’s called ‘Julian Assange, the Unauthorised Autobiography’, and it may be even more important than the one about Steve Jobs. One detail that needs explaining early on (and the publisher, Canongate Books does so) is how an autobiography can be unauthorised. Apparently Assange signed a contract and worked with a chosen writer, but later tried to pull out of the deal. By that time, according to Canongate, money had already changed hands (and been used by Assange to pay legal bills) and 38 publishing houses were committed to releasing the book. So here we have it – unauthorised but apparently straight from the horse’s mouth, so to speak. The book begins with Assange in a cell in Wandsworth Prison in London, comparing himself to Oscar Wilde, who, at about the same age, but in an earlier century, had spent time there after being convicted of ‘gross indecency’ – Victorian-speak for male homosexuality. Assange’s sexuality seems to be more mainstream, but it’s not until the penultimate chapter that we get his side of the business with the Swedish lasses. At first he is more concerned with giving details of his court appearances and time in prison, despite not having been charged with any crime – and explaining why he believes it’s not actually about the ladies. From Wandsworth Gaol we flashback to Australia, mostly northern Queensland, where Assange was born into a hippy alternative lifestyle in an idyllic tropical paradise tinged with reality by the difficulties of being raised by a 19 year-old politically active solo mum. I’ll skip the details, but those were interesting times – and young Julian seems to have grown up in an environment of healthy anti-establishment scepticism. What this movement produced in 2006 was Wikileaks, ‘the most secure platform for whistle-blowers the world had ever known.’ The essential principles were: so-called human rights are only rightsif they are enforceable; ordinary citizens are often in possession of information the rest of us should know for true democracy to operate; if they want to share it they should be able to do so in privacy and anonymity; once they decide to share the information, it needs to be published by the mainstream media. The 70-page Appendix to Assange’s autobiography contains details of the most noteworthy leaks made available via the Wikileakswebsite, many of which were picked up by major news media, to the benefit of their circulation, no doubt, and to the extreme embarrassment of many governments: the Standard Operating Procedure Manual for Guantanamo detention centre, for example, and information provided by a former employee of Julius Baer Bank (HQ in Zurich) detailing how the bank assisted wealthy clients to move taxable funds to tax-havens in the Cayman Islands. The book is a fascinating read, essential for anyone wishing to access an alternative view to that presented by those ‘outed’ governments and their lapdog news media. As Assange notes, the Information Age has rendered obsolete, or at least highly debatable, many legal concepts laid down in simpler times, not least of which is the question of who ‘owns’ information. Of course, as those 17th century Levellers discovered to their cost, the establishment elite in any society will fight tooth and nail to preserve their power and privileges. Sad to say, Assange may have been unduly optimistic about the democratic freedoms new communications technology would bring to Egypt. Possibly we will never know the extent to which the governments of the United States and Saudi Arabia influenced the military coup in Cairo. As for Wikileaks, we watch in stunned disbelief as the debate is switched from shocking revelations about events actually taking place behind the scenes on the world stage, to the romantic escapades of an Australian citizen and two sexually liberated Scandinavian women – with the active connivance of news media that were previously so keen to publish the leaked material. Back in England in the 1640s, leaders of the Levellers were tried and hanged, or hunted down and shot by Oliver Cromwell’s men– thereby collapsing one of history’s early movements advocating popular democratic freedoms. We are currently waiting to hear how many lifetimes Private Bradley Manning will spend in prison; and Russian President Putin has seriously upset the US Government by granting asylum to Edward Snowden, who would otherwise very likely share Manning’s fate. How long Julian Assange can hang out in the Ecuadorean Embassy in London remains to be seen. The important thing for supporters of true democracy is not to lose sight of the real issue. This entry was posted in Bradley Manning, democracy, freedom of the press, GW Bush, Julian Assange, Tony Blair, Vladimir Putin. Bookmark the permalink. Sounds like a book worth reading. I think the relationship between “we the people” and those who govern us can be reduced to a simple maxim: they are masters, we are slaves. What's more, those in power are essentially sociopaths – inveterate liars, smooth talkers, without empathy, and thoroughly amoral. We like to think those in power are somehow like “us”, but they are not. Those drawn to such power are of a different order of human being, sub-human more like. When one considers the millions of dead as a result of “governments” and the lies and propaganda we have been fed, it is clear that the internet is the greatest threat ever to the ruling elites. And they are getting desperate for sure. Witness the recent nine hour grilling that David Miranda, Glenn Greenwald's partner, received at the hands of security agents at Heathrow Airport, all because he is associated with a journalist who has been releasing information as provided by Edward Snowden. Information disclosing the misdeeds of the governing class. Another recent example is how PressTV – the Iranian English TV channel and internet site that often reports an alternative viewpoint – is being targeted and has largely lost access to cable TV outlines in Europe. And again just in the last few days, they have had their YouTube channel taken down at the behest of the ADL (Anti-Defamation League). There is no doubt a concerted effort to silence those who would inform us of the dastardly deeds by those who consider they have the right to rule over us. But people are waking up. You only have to read the comments sections in places like the Guardian website, the paper that has been publishing Edward Snowden's revelations, to see where public opinion is moving. I don't think there has ever been a time when those in power have been so distrusted and despised by an ever-growing percentage of the populations of this world. And that is good news indeed! Yes. Even in NZ people seem to be waking up. The GCSB internet spying bill has apparently passed its 3rd reading by one vote. Hope people there don't just roll over now and accept it as a fait accompli.